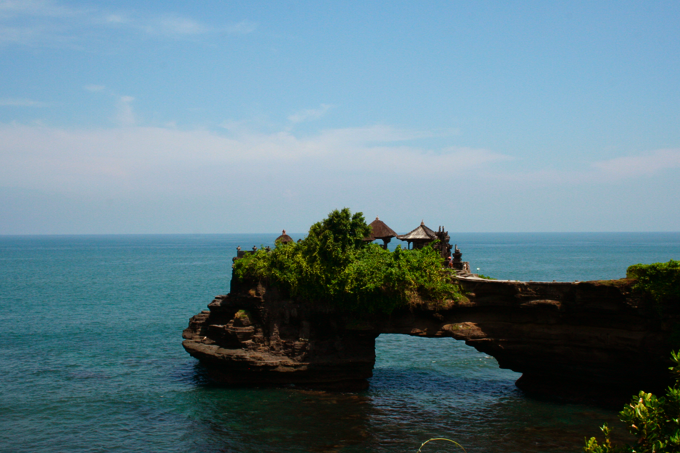 Today we headed up to Tanah Lot. 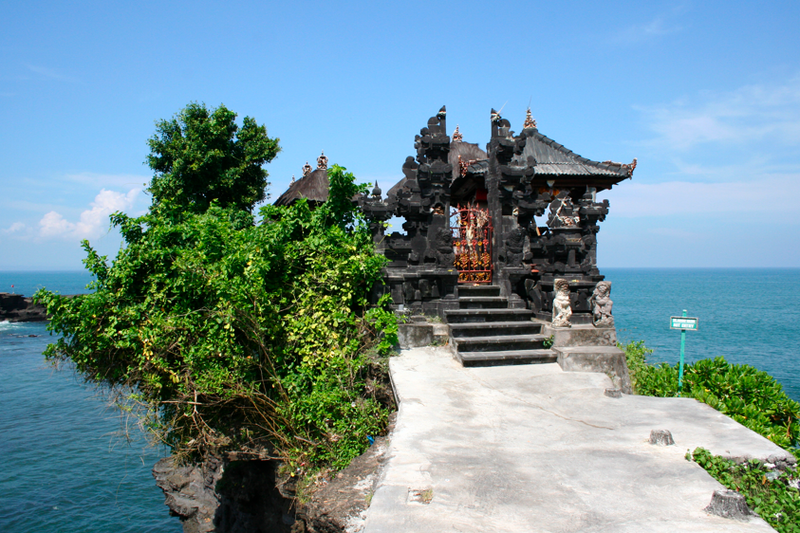 The temple sits on a large offshore rock which has been shaped continuously over the years by the ocean tide. 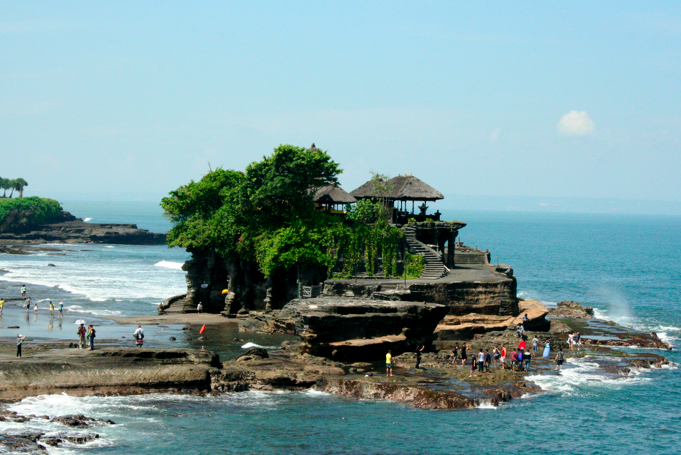 Tanah Lot is claimed to be the work of the 15th century priest Nirartha. During his travels along the south coast he saw the rock-island’s beautiful setting and rested there. Some fishermen saw him, and bought him gifts. Nirartha then spent the night on the little island. 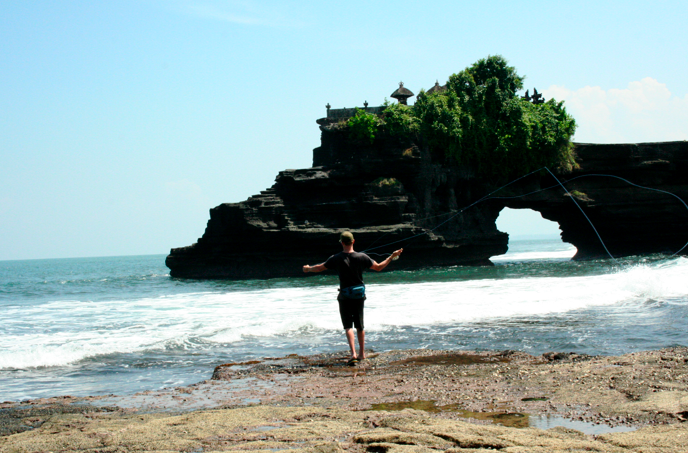 Later he spoke to the fishermen and told them to build a shrine on the rock for he felt it to be a holy place to worship the Balinese sea gods. I made my own offerings to the sea gods (and fish) in the form of clouser minnows. I didn’t get any takers, but fishing with Hindu temples looking on either side of me felt pretty cool. 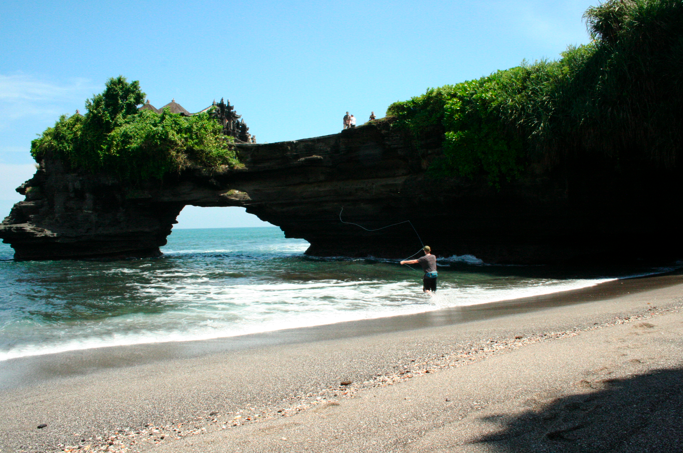 This entry was posted in Bali, fly fishing, Indonesia, vacation by Rory. Bookmark the permalink.